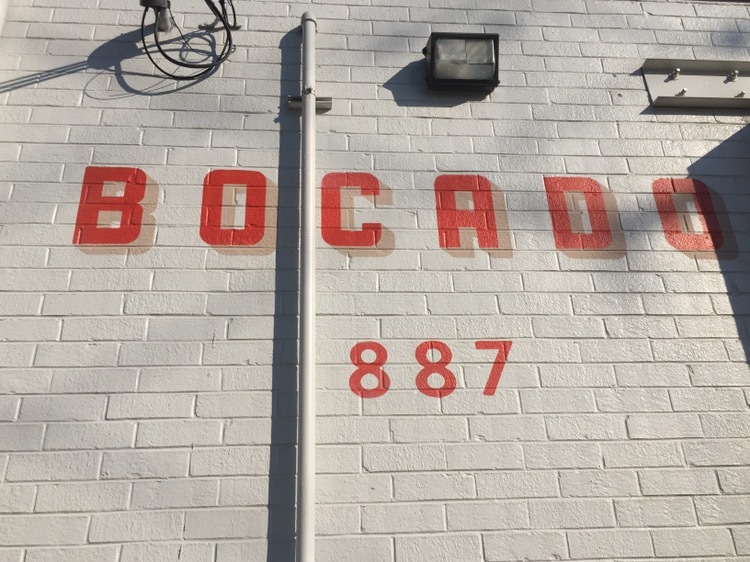 More than six years after our first visit to Bocado, I finally return with the specific purpose of blogging about it. Located at the corner of Howell Mill and Marietta Street, this is the first place that I remember the valet taking my car and asking me to move so he could back into a parking space. My belove d and I started with a shared salad of watermelon, tomato, pecorino, chile, mint and a green, of some sort. The tastes were good, the tomatoes appearing to be heirloom cherry tomatoes, and a bite with a bit of everything was a really nice combination. There was a bit of heat, some sweet and a bit of acid. 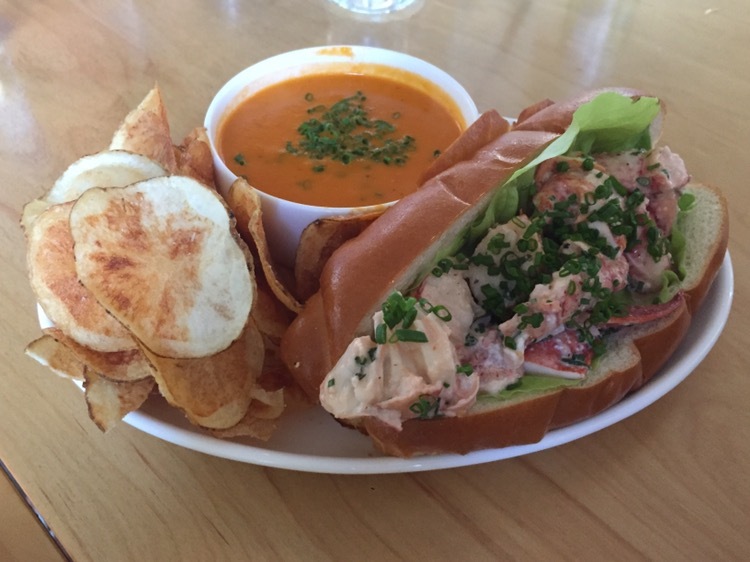 My beloved ordered the lobster roll, which is only available on Saturday night. It was served with chips and tomato bisque, which was good, but who wants soup on a one hundred degree day? The lobster roll was good, as well, but after the roll at Beetlecat, all others pale in comparison. I went with the Bocado burger stack, with American cheese, holding the bread & butter pickles. This is a really tasty burger and may be the impetus for the resurgence of the burger in Atlanta. 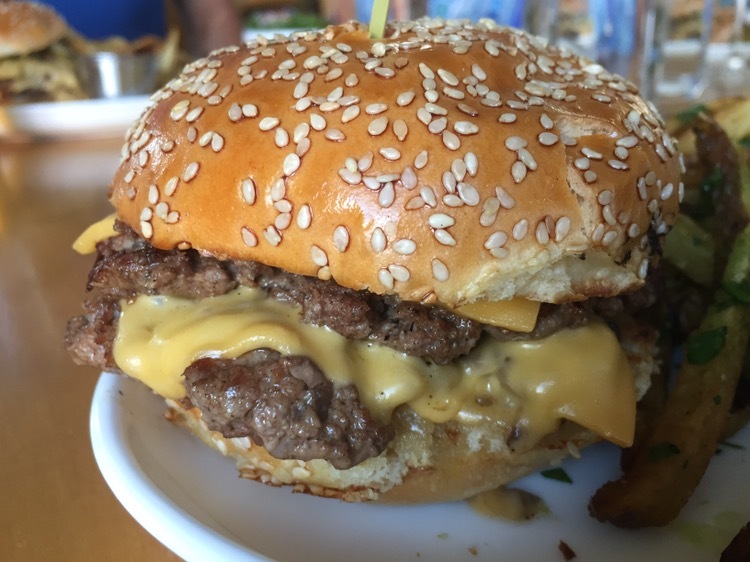 Originally created and served when Todd Ginsberg was at the helm of Bocado (he’s gone on to recreate it at the General Muir and Fred’s Meat and Bread), this burger has been at the top of Atlanta burger lists for almost a decade. This is a nearly perfect mix of beef, cheese and bread. I also paid the $1 up charge for the herb and garlic fries. 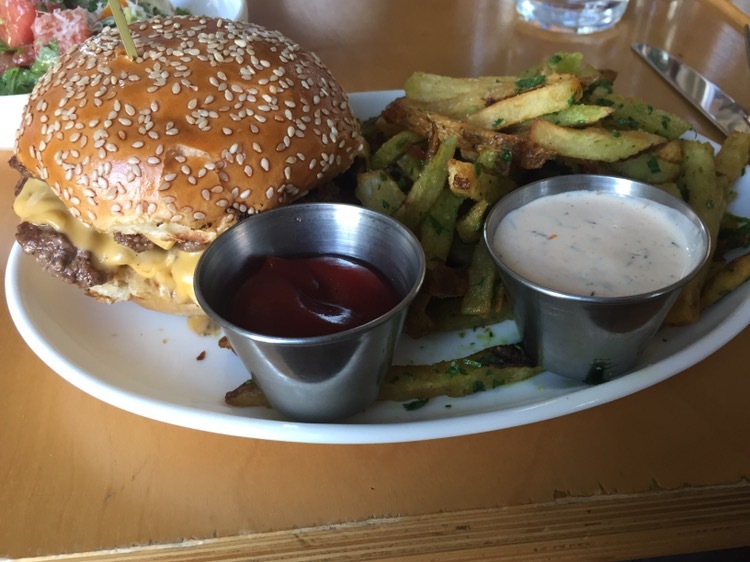 I should have stuck with the standard fries – I was envious of the simple beauties across the table. Service was not particularly attentive, but the meal was excellent.